Plastic injection molding is used to create a large variety of plastic products with different shapes and sizes, from toys and model parts to furniture and building materials. But injection molding is not just for big corporations with large budgets. 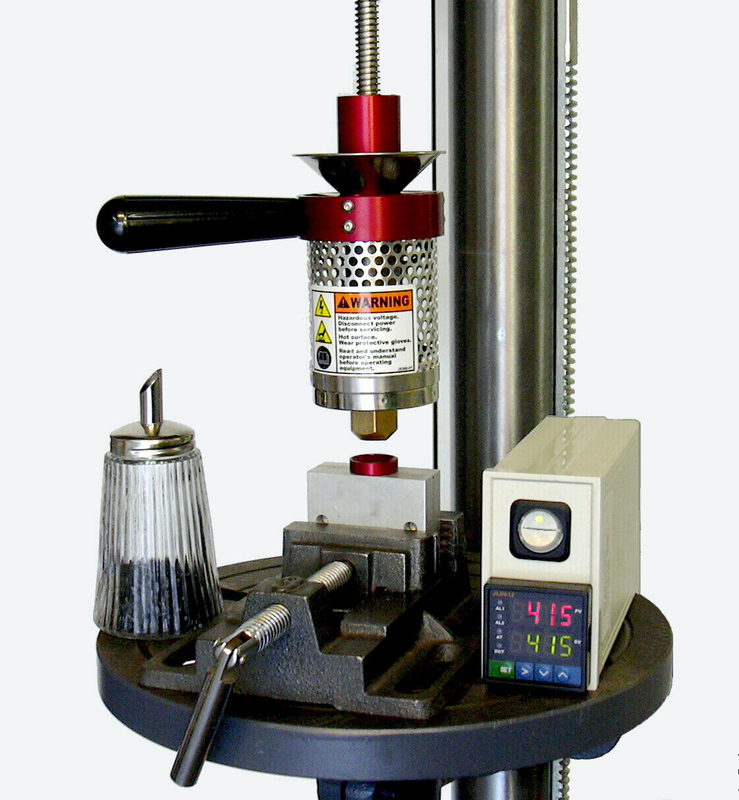 The PIM-SHOOTER™ Model 20A brings low cost injection molding to home shops or small businesses. This unique new accessory turns your workshop drill press into an efficient plastic injection molding machine. You simply supply the drill press and mold clamp. The PIM-SHOOTER™ starter package gives you EVERYTHING ELSE you will need to immediately start producing your own plastic parts. If you are designing prototype parts, this machine will save tons of turn-around time waiting for the parts to be made by an outside firm. Or you can use this fun machine to make money producing small plastic parts and selling them. This machine could easily pay for itself on the very first project! Inventors can use this machine to produce sample parts before spending for volume production. Make money manufacturing and selling your own fishing lure designs. Univeristies and community colleges can use this machine as part of CNC classroom instruction.